Excellent film. Cumberbatch is wonderful as Alan Turing. Great script that has you laughing out loud and brings you to tears. The entire cast are perfect. Best film I have seen in a long time. Well Done. Benedict and Keira are great in this film. 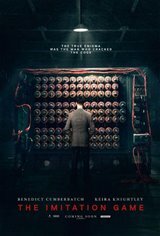 This movie was a superb interpretation of the book and a story long worth telling about the WW2 hero and Father of Computer science. I'd see it again..! Very emotional. A must see. I might be biased though; I love Benedict Cumberbatch. This movie is very good. The acting is excellent. You really have to pay attention to understand the movie. WW2 was cut short by 2 years because of Enigma. It is worth seeing. Another good movie even though I am curious the authenticity of the story, sure it is a movie but is it really based on a true story. To be honest it is a little bit depressing that the main character went through what he did! Excellent movie, a must see for anyone who appreciates an intelligent well-crafted drama. Best movie I've seen in many years. Hope Benedict C. wins the Oscar for best actor next Sunday. Brilliant performance by Cumberbatch who will lose to Redmayne, but really deserving nonetheless. Knightly proves again she can't act, but even she isn't bad enough to spoil this touching story. GREAT MOVIE WOULD SEE IT AGAIN. Fantastic movie!! Definitely in the running for Best Picture!! This movie is simply amazing with a great story and excellent acting! I smell Oscar! Very good story and acting was excellent. It is the best movie this year. Excellent movie. All actors to be commended 'job extremely well done'. Such a shame that Alan Turing had to die so young. Would have been more credible if Cumberbatch didn't keep slipping into his "Smaug" voice at several key moments. Knightley is hot, though. Absolutely incredible story; moving, exciting and ultimately sad. Superlative acting by Benedict Cumberbatch. Who doesn't love Loni Anderson in a flouncy red cocktail dress? Brilliant movie, excellent cast, marvelous effects. A must see picture. Excellent movie! Great acting. Definitely a must see movie! Fantastic movie. First one with substance that I have seen in a long time. Brilliantly acted. Very well done film. Historically accurate, such as the puzzle in the London Times to recruit the best codebreakers. Benedict Cumberbatch is great to watch in this complex role. 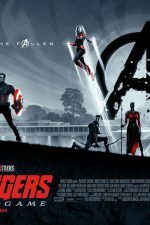 Awesome movie, glad I went to see it. brilliant. Well worth the wait for it to be shown locally. Strong performances across the board, what a sad outcome. An Excellent well acted movie. Benedict Cumberbatch is perfect as Alan Turing! What a movie, they absolutely deserved the Golden Globes awards. I don't want to reveal what this movie is about, I'll just say that the only flaw was that they went back and forth btw past and future, in the story. The detective who suspects the main character appears in the beginning of the movie, but this actually happened at the end of the story. I was disappointed. It wasn't what you would call an exciting movie. A bit boring! Left me speechless...best movie I've seen in a very long time! Awesome movie, Oscar worthy, excellent actors. Don't miss this one. Absolutely Amazing! As someone who knows this history reasonably well I was pleasantly surprised at the overall accuracy of what the movie covered. For those unaware of who Alan Turing was this is an excellent introduction to one of the 20th centuries most remarkable individuals and the man singularly responsible for the birth of 'computing science'. Best Picture of the Year - take it to the bank. That's a very great movie. I like it! Absolutely a great movie. The acting is totally believable and draws you into a most interesting and amazing story. Unfortunately not all the facts are accurate but it's not too far off. Go see it. I'm always surprised at 10 ratings. If you read what '8' means, it's a very good rating, and this is certainly a film worth watching. The direction, acting, script and design were solid, NOT brilliant, but strong. Alan Turing's contributions were groundbreaking (even more so if you look into his actual history), and deserving of the exposure he's now receiving. Worth admission. 5 stars. Tough to give any movie 5 stars because you will always find a few flaws. However, The Imitation Game was just so well acted and directed I must break my own rule of critique and give my first 5 ever. Go see it on the big screen to truly appreciate the nuance of fine acting. Powerful. Profound. Flawless. One of the best movies I have ever seen. After viewing this film, one would think he won WWII all by himself ! Hollywood propaganda ! This is an excellent film, which has stayed with me. Well written and brilliantly acted.